Blazing Star, or Liatris, is an outstanding flower with fuzzy, spiked blossoms above grass-like foliage. It is an excellent plant for attracting butterflies to the garden. Blazing star prefers full sun. The soil should be of average fertility, loose and well drained. Water well during the growing season, but don’t allow the plants to stand in water during cool weather. Mulch during summer to prevent moisture loss. Trim off the spent flower spikes to promote a longer blooming period and to keep blazing star looking tidy. Use blazing star in mixed perennial beds and wildflower stands. Plant it in a location that has good drainage to avoid root rot in winter. Blazing star also grows well in planters. 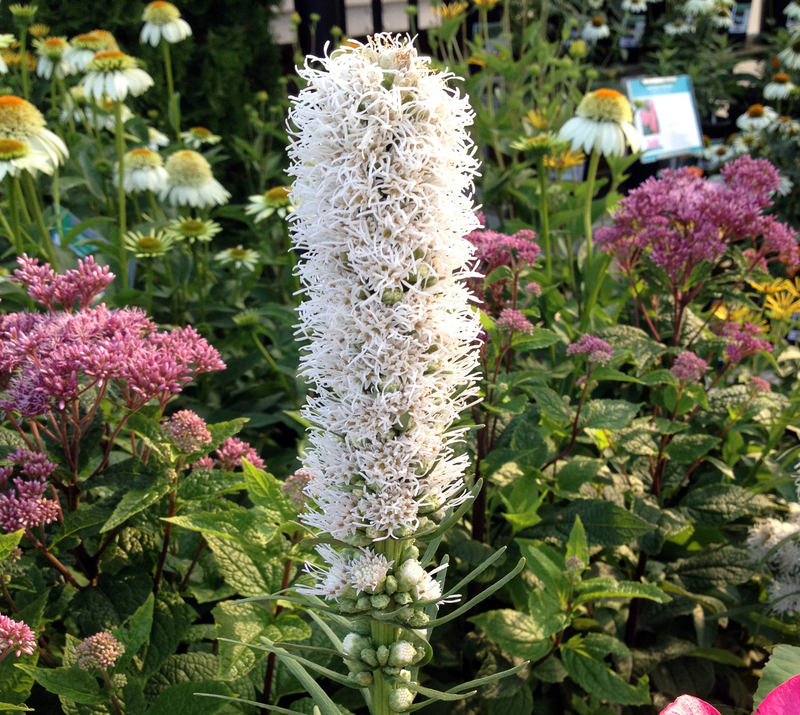 L. spicata (blazing star, spiked gayfeather) is a clump-forming, erect plant. The flowers are pinkish purple or white. Several cultivars are available. Note: Blazing star makes an excellent cut flower.